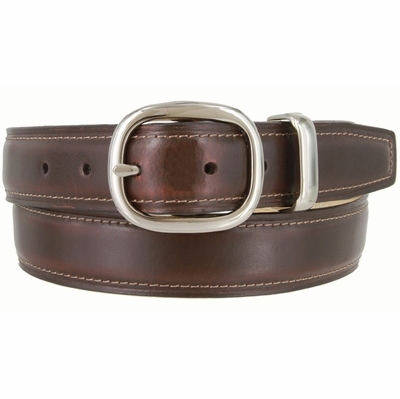 Oval Center Buckle Genuine Italian Smooth Dress Leather Belt. 1-1/4" = 30mm wide Italian Smooth Leather. Stitched Polished Nickel Plated on Solid Brass Buckle and Matching Keeper. Stitched and Lined Edges for Durability. 5 Adjustment Holes for Comfortabl Fit.